This lavender has a pink shift to it. It does have a rather thin formula, so you might need three or more coats for opacity. 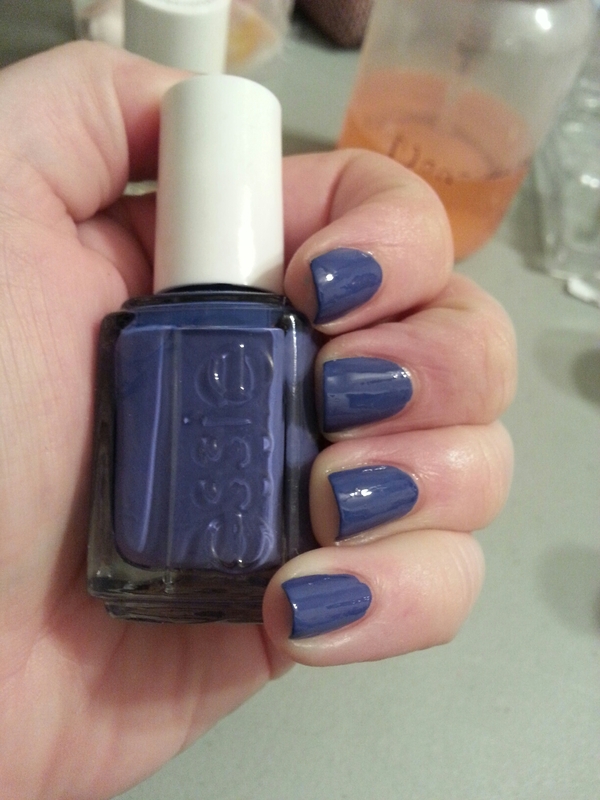 This entry was posted in Nail Polish Collection and tagged essie, nail polish, purple, shimmer, swatch, swatches on December 12, 2015 by Mel. This blackened purple durochrome has a green flash to it. Opaque in 2 coats. 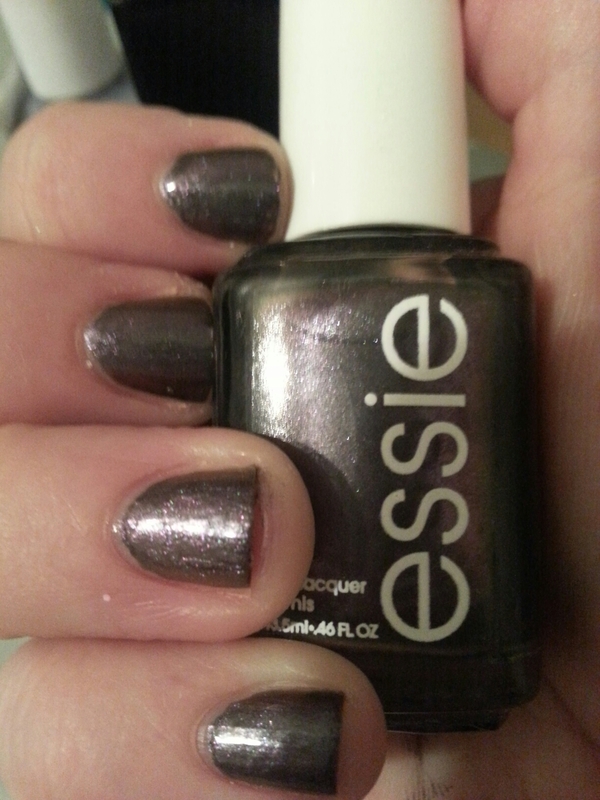 This entry was posted in Nail Polish Collection and tagged duochrome, essie, nail polish, purple, shimmer, swatch, swatches on November 21, 2015 by Mel. This full-coverage gold glitter is packed with royal blue glitters. Opaque in 2-3 coats. 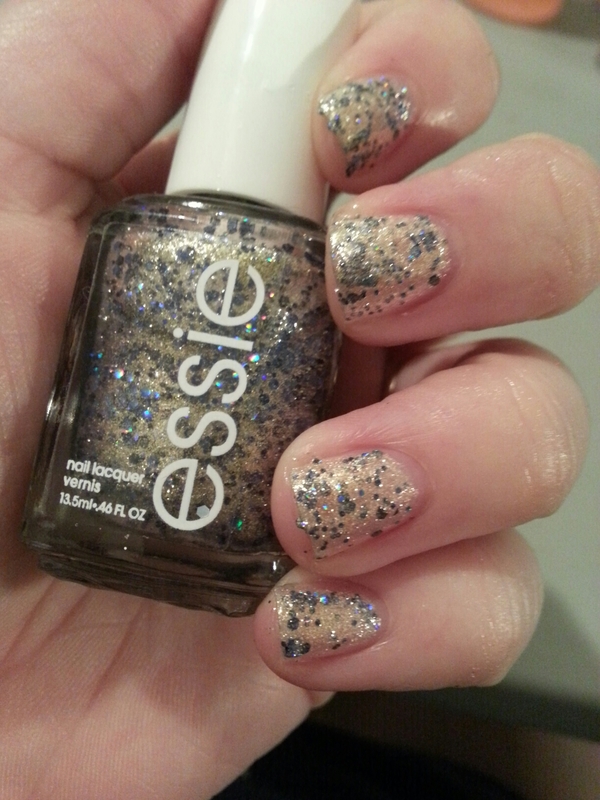 This entry was posted in Nail Polish Collection and tagged essie, glitter, nail polish, swatch, swatches on September 21, 2015 by Mel. 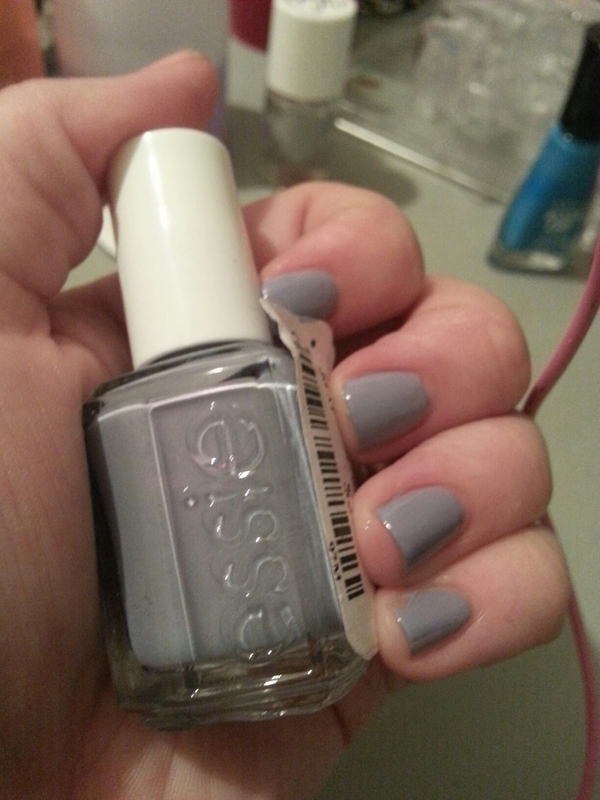 I’m not a huge Essie fan, by and large but I saw so many glowing reviews of this particular one when this collection came out that, like a good little lemming, I bought it. It’s a blurple on the purple side and has a lovely one-coat formula. This entry was posted in Nail Polish Collection and tagged cream, essie, nail polish, purple, swatch, swatches on June 24, 2015 by Mel. This copper metallic is opaque in one coat, prone to brush strokes, and is suitable for stamping. 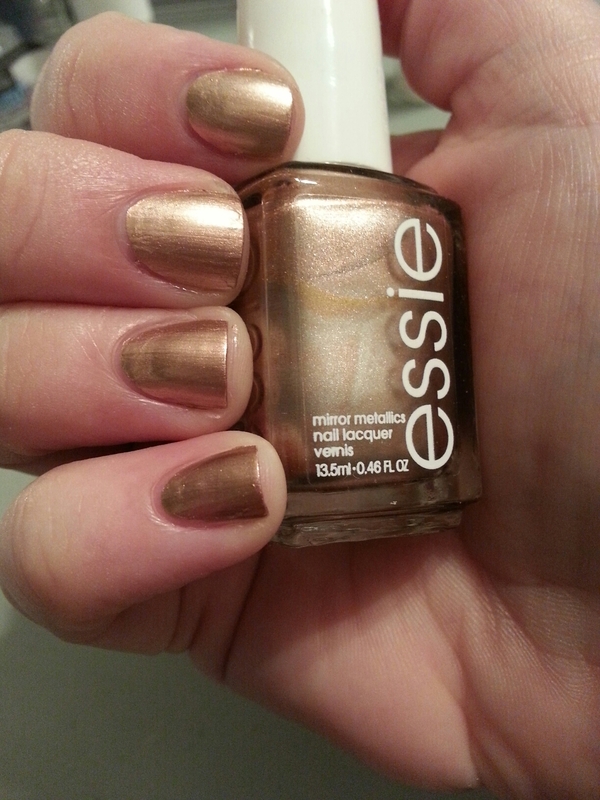 This entry was posted in Nail Polish Collection and tagged brown, copper, essie, metallic, nail polish, swatch, swatches on April 26, 2015 by Mel. This is a metallic rose color. Prone to brush streaks like most metallics, but is great for stamping. 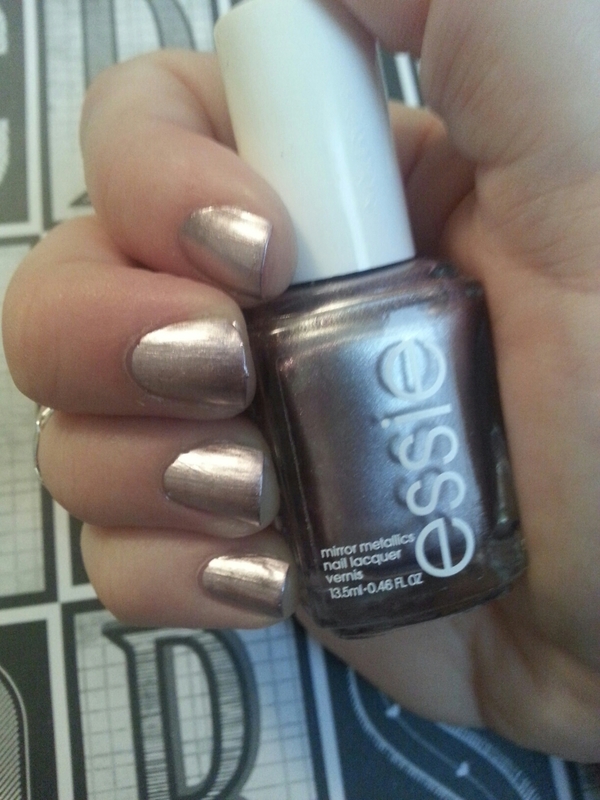 This entry was posted in Nail Polish Collection and tagged essie, metallic, nail polish, pink, swatch, swatches on April 16, 2015 by Mel. This is a metallic silver chrome. Can be brush-strokey, but is suitable for stamping. 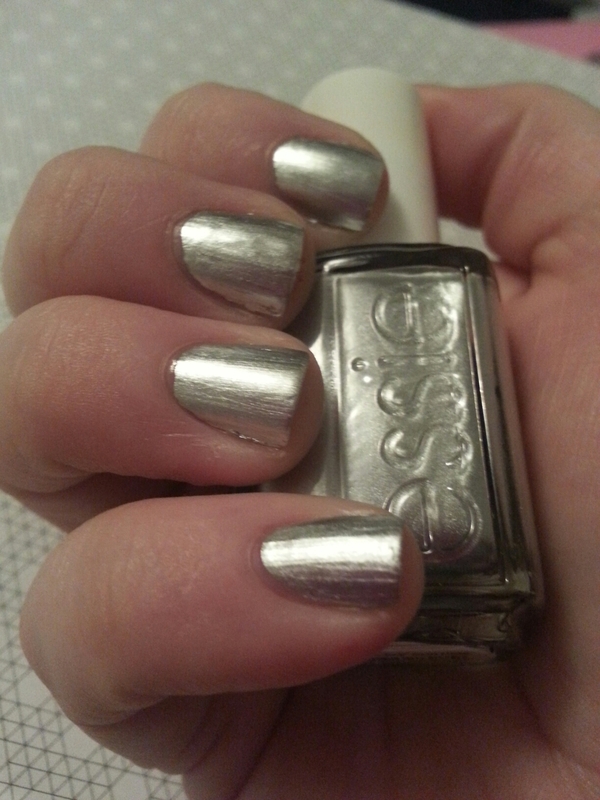 This entry was posted in Nail Polish Collection and tagged essie, metallic, nail polish, silver, swatch, swatches on March 13, 2015 by Mel.